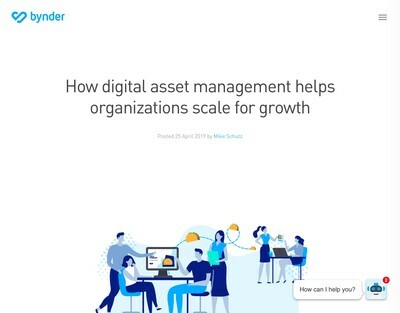 ROI is (yet another) contentious subject when it comes to Digital Asset Management. A contributory reason for this state of affairs is the DAM software industry’s near complete inability to adequately justify its own existence, apart from coming up with a few implausible colourful infographics which FDs and CFOs will see straight through in a matter of seconds. Further, it has to be noted that many consultants and analysts have equally sketchy and poorly defined arguments for commencing DAM initiatives. Based on what I have read and heard recently, most of their arguments can be roughly summarised as ‘you’ve got to do DAM because everyone else is’. 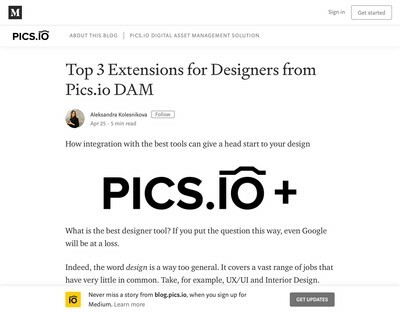 As we have discussed recently, the reality is that DAM ROI is generated by the users and quite a specific, small (and currently getting smaller) subset at that. That being the case, for enterprise DAM users, much of the ROI argument centers on both adoption and having in-house personnel with operational expertise (not just people who will provide ‘advice’ and then leave once their contract expires). If you are in the process of developing a business case to implement a DAM initiative (or perhaps refresh an existing one) then this article should give you some clear, unbiased and credible advice on how to go about doing it. 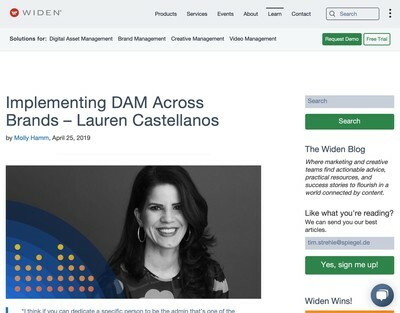 The source article here, Building a Business Case for a DAM Solution, does a good job of outlining how to clearly focus ROI, which can sometimes feel like a nebulous and ephemeral thing to quantify, despite it being based on observable figures. 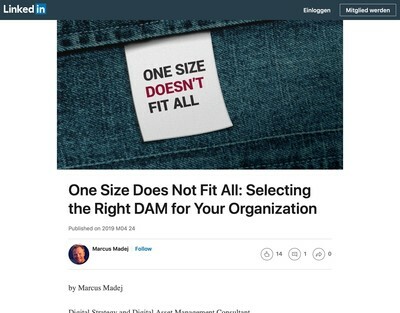 I do wonder how to best position the ‘start small’ approach when it comes to DAM implementation alongside the stark reality that implementing a DAM solution successfully will need to constitute a real internal paradigm shift within the organization. Likening a DAM solution to email insofar as each are clearly beneficial but those benefits often escape formal assessment is clever. Going forward, it would be great to see more contributions in the field that evaluate the contributions of a DAM system to an org’s bottom line 2, 5, and 7-10 years after implementation. These sorts of longitudinal style studies would be a great weapon to have in the arsenal when trying to a sell a DAM solution to higher ups.